It is a new year and a new semester at school for me. Today is the first day back to school and unfortunately back to busy mornings. It is also a Monday, which aren’t my best days anytime of the year! 🙁 I don’t even want to think about the line up at the bookstore I need to stand in later this afternoon. 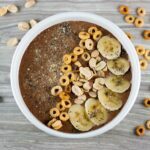 When you are making an effort to make better food choices, mornings can be really tough. 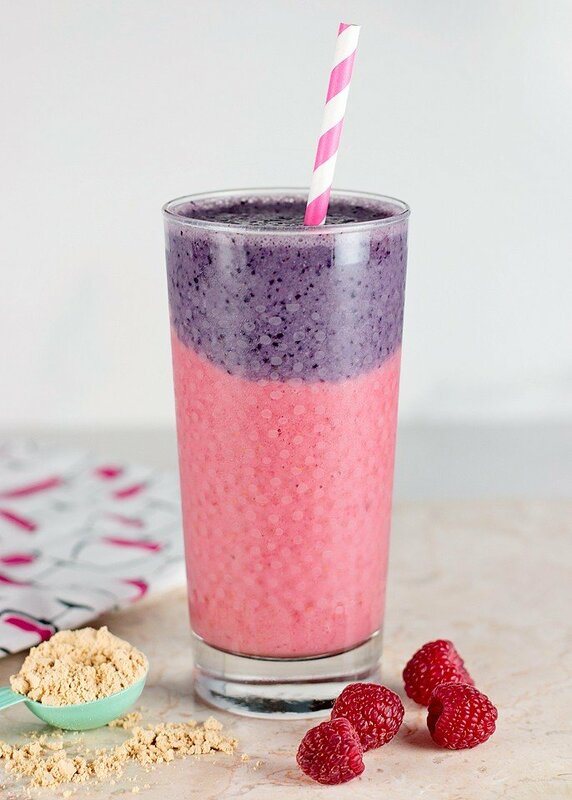 A berry smoothie is my favourite quick and easy breakfast or snack. We make a lot of smoothies in my home! 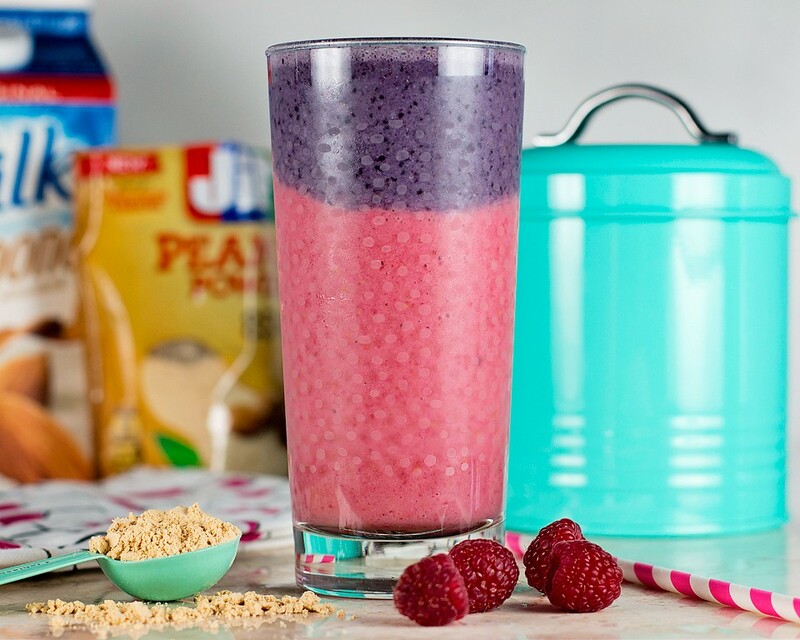 When I was asked to incorporate Jif Peanut Powder into a recipe I knew I would make a peanut butter and berry smoothie. 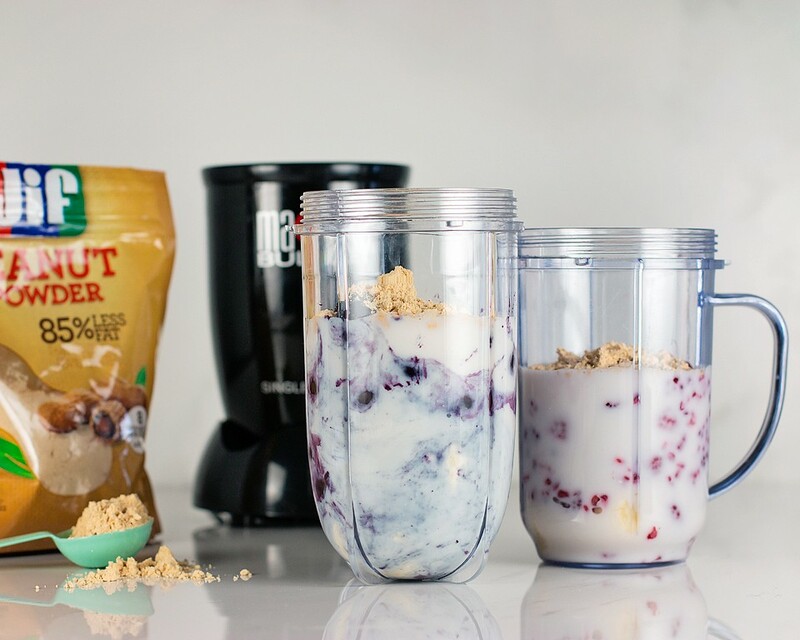 I find that adding protein to my smoothies keeps my stomach from growling by 10 am. 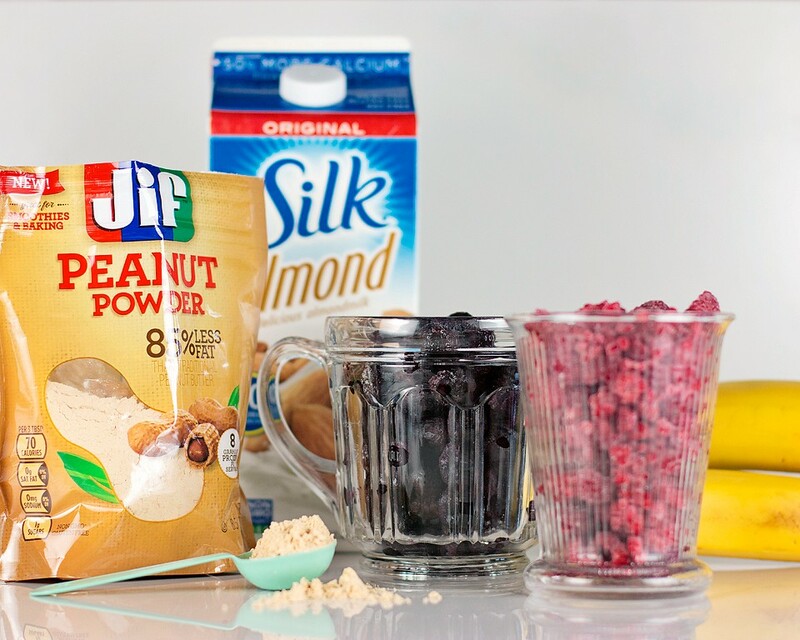 The Jif Peanut Powder has as much protein as traditional peanut butter, but with 85% less fat – which is a good thing! Note to self: When I eat like crap, I feel like crap. 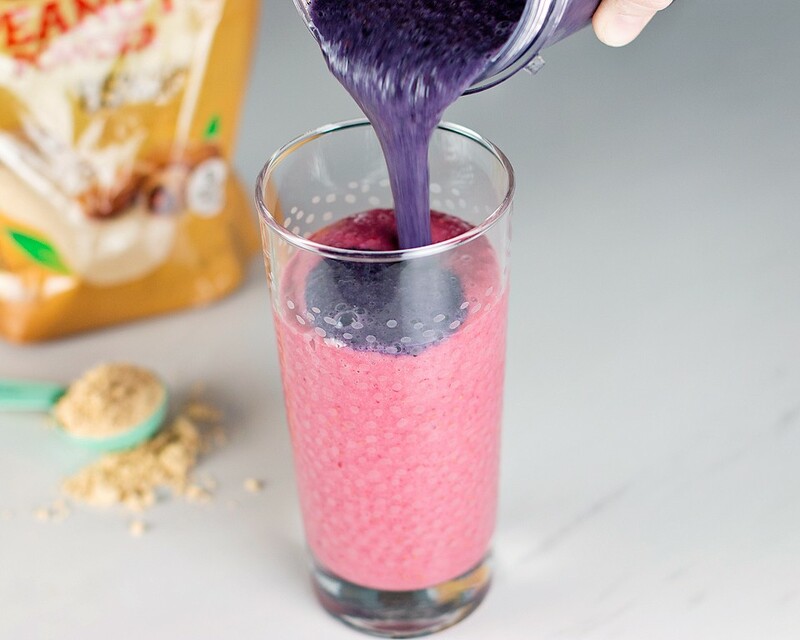 I would typically put a tablespoon of peanut butter in a berry smoothie this size, so I used the same amount of the peanut powder. 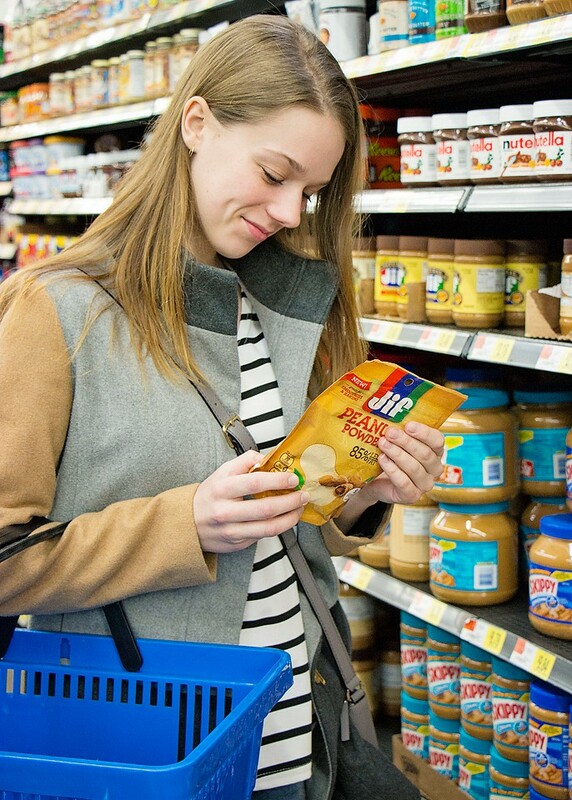 The Jif Peanut Powder has just one ingredient – fresh roasted peanuts – so you don’t have to worry about any extra sugars or salt. 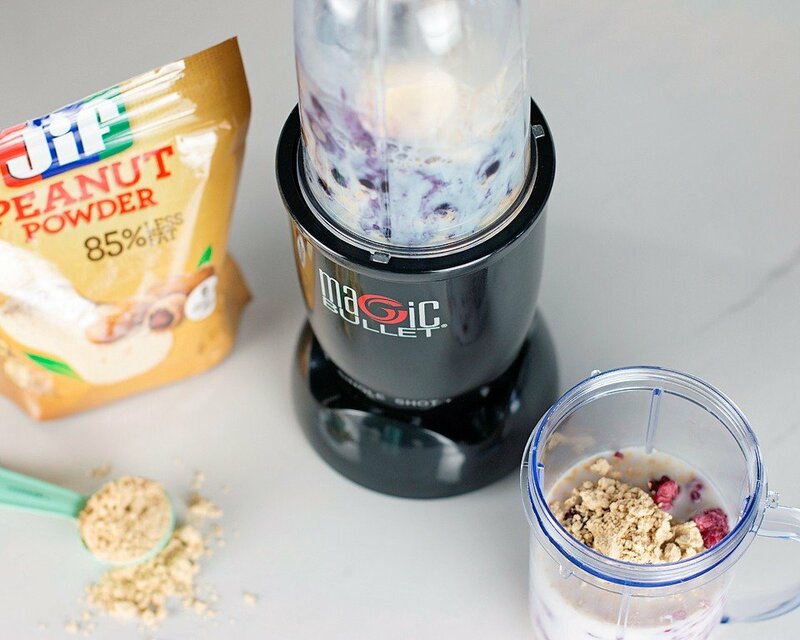 I have a full sized blender, but I used my Magic Bullet for this recipe. Either would work though. 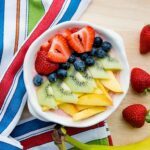 In my recipe I used frozen fruit, but if you are using fresh fruit you will need to add some ice to the recipe that I have included below. 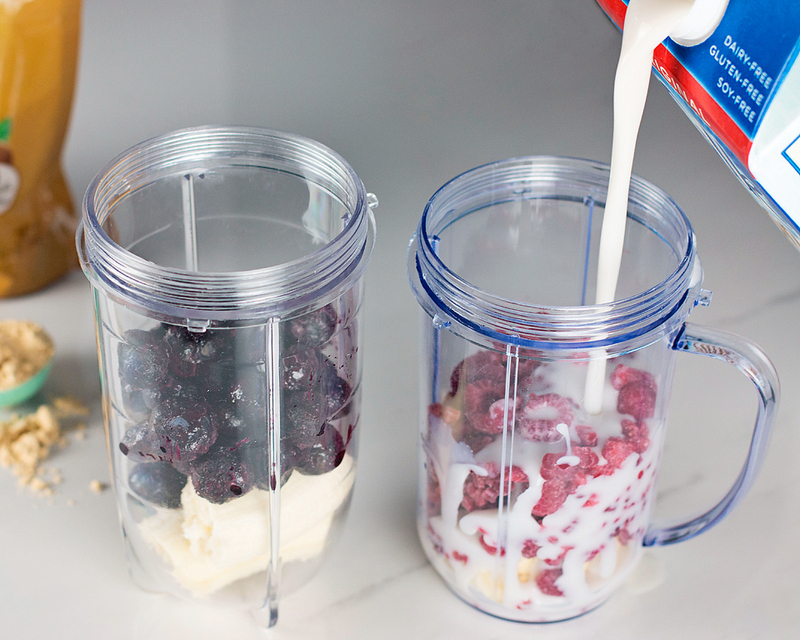 If almond milk isn’t your thing, you can substitute regular milk or yogurt. I picked up the Jif Peanut Powder at Walmart. 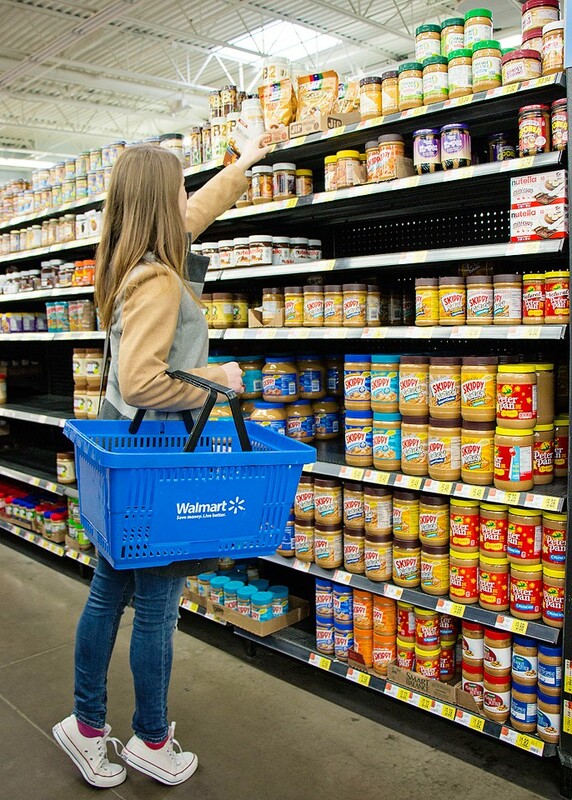 It is where you find the peanut butter and other spreads. They also have Jif Chocolate Peanut Powder, which I bought but have not tried yet. It is the same but contains semisweet chocolate and a dash of sugar. Chocolate and peanut butter together is my weakness! 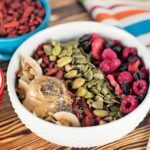 In case you missed them, check out my other smoothie recipes. 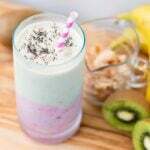 There is a Coconut Strawberry Kiwi Smoothie and a Tropical Mango Pineapple Smoothie. 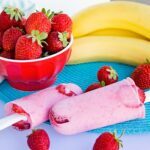 If you are looking for a different way to incorporate a smoothie into your diet, you can try making a Strawberry Banana Smoothie Popsicle or a Strawberry Banana Smoothie Bowl. 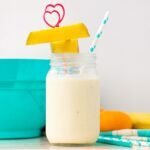 All are super easy to make and so good! I hope this first Monday of the year is not too tough on you! Have a great week. 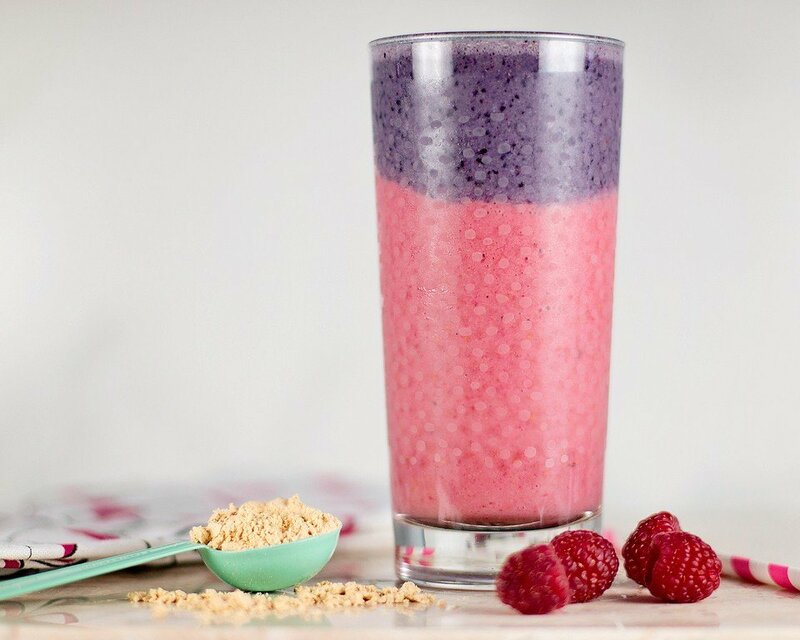 Blend the raspberry layer ingredients together. Pour into a chilled glass to partially fill. Place the glass in the freezer while you make the next layer. Blend the blueberry layer ingredients together. Pour in the glass over the raspberry layer to fill.